Driving without insurance is a very serious offence with harsh penalties including a heavy fine and/ or licence suspension. In some provinces, you cannot obtain a car registration unless you first provide proof of insurance. Whenever you get behind the wheel of a car, it is possible that you may cause damage to other people’s property or injure – or even kill – yourself, other drivers, passengers or pedestrians. If you were to drive your car without insurance, not only would you be breaking the law, you would also be risking your savings, home and other assets. We can all make mistake and even the smallest error could mean you end up causing thousands of pounds worth of damage to a complete stranger. If an accident is your fault, you should responsible for any costs that occur. Without car insurance, you would be forced to be pay out for the damage, something most of us just couldn’t afford to do. If you’re covered however, you can guarantee that you are able to pay for the damage you caused. 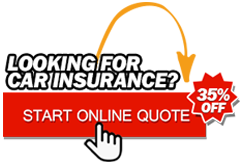 Before you decide on an insurer, shop around to compare prices, coverage options and quality of service.